Stock up for the Holidays! UFV Bookstore Bargain Book Sale . 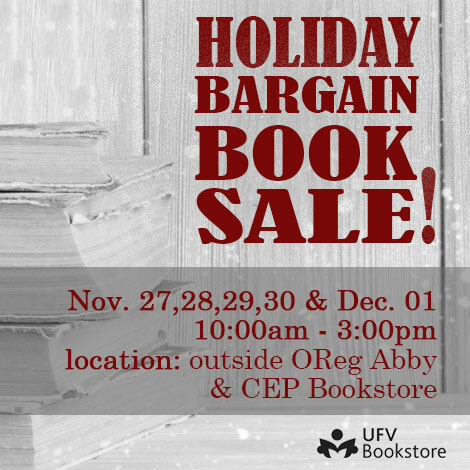 Join us outside OReg in Abbotsford and at Chilliwack Bookstore to stock up on bargain books from $1.00 – $4.00!